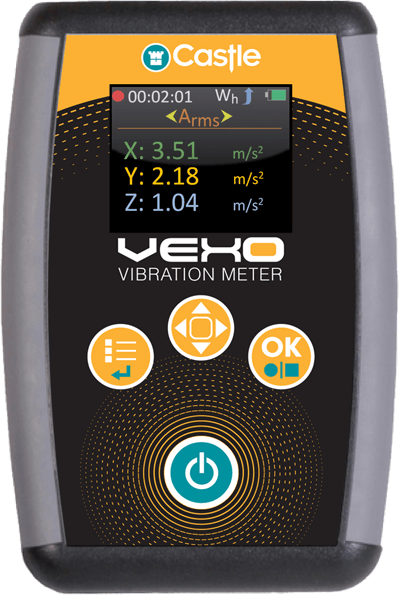 Measure and limit exposure to dangerous hand-arm vibration levels in accordance with ISO 5349:2001. Monitor mechanical vibration levels from machinery and idustrial processes for accurate maintenance monitoring. Excessive use of power tools can lead to serious health problems. Hand arm vibration sydrome (HAVS) is serious and often permanent damage to nerve endings, vibration white finger and numbness. This can easily be prevented by measuring exposure to vibration levels. Maintenance condition monitoring and fault diagnosis is a powerful way to prevent serious damage to machinery particularly rotating machinery and bearing housings. Regular checks on vibration levels in machinery will prevent bigger repair costs later on.